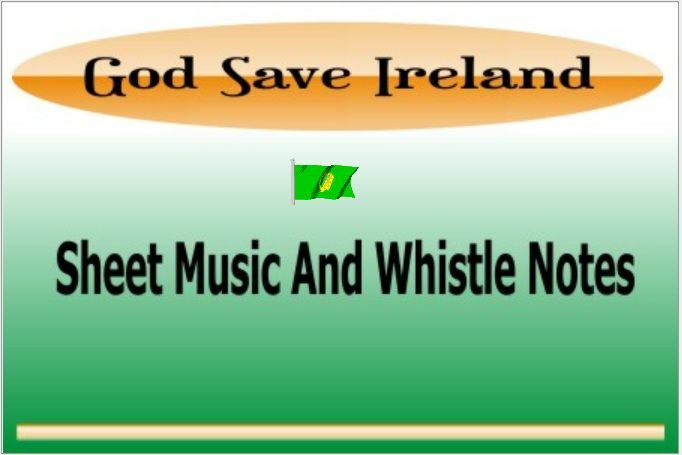 God Save Ireland tin whistle notes and sheet music, Wolfe Tones written by T. D' O'Sullivan 1867. This song was the unofficial national anthem before The Soldier's Song. If playing this tune on whistle the + sign means blow harder to reach the second octave, a # symble means the note is too low for the whistle, try to fake. High upon the gallows tree swong the noble hearted three. The version above in letter notes is worked out for the D whistle. I have marked the ''low E'' in Green just to let you know as there are 2 E notes in the song. All the others are high ones. 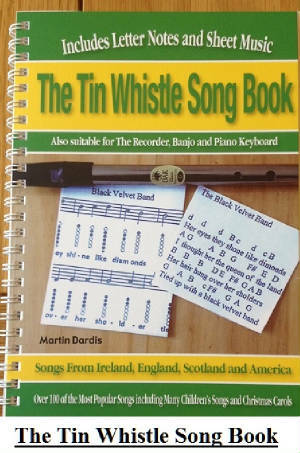 The sheet music is in the key of Bb and this key is not normally used by whistle players. The letter version is just one step above the sheet and is easier to play.